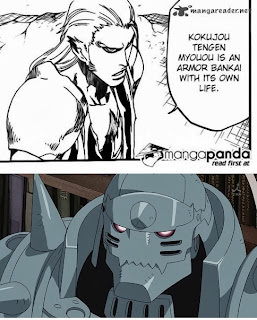 When Bambietta wonders to herself how that happens, Komamura explains that his original Bankai, Kokujou Tengen Myouou, is essentially a suit of armour with its own life. When he activates Dangai Joue, it loses its armour and becomes pure reiatsu. He then states that Bambietta cannot defeat it with her techniques, as he attempts to hit her again. She claims that she doesn’t understand what he’s saying, as her ability allows her to destroy anything her reiatsu gets into, and as such she believes that its weak point is completely exposed. At least this one didn't cost an arm and a leg. At this point, she launches another barrage of Reishi at Komamura’s Bankai, only for it to block it again. Komamura then explains some more about his power, and tells her that the only bad thing about an explosion is the fact that it blows up something alive. If there’s nothing alive to get hurt, then the explosion isn’t a problem. 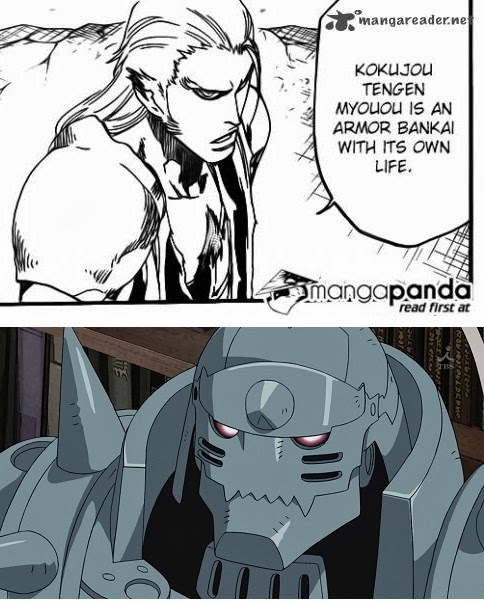 It turns out that Kokujou Tengen Myouou’s armour is literally its life, and Dangai Joue is the figure left behind when the original Bankai sheds its life away. 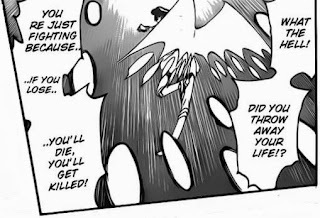 Still confident in her abilities, Bambietta reasons that even if the Bankai is indestructible, Komamura himself isn’t, and fires a blast directly at Dangai Joue, intending for the damage to transfer over. Once again, she’s proven wrong, as Komamura is revealed to still be standing, despite having a huge hole in his chest. Visibly shaken, Bambietta asks just what Komamura is, and he replies that his body is now nothing more than a tool to be used to defeat her. "Yeah, that's right. I can take anything you can dish ou- oh God there go my organs." The Human Transformation technique works by offering up the user’s heart, which allows them to gain a form of immortality. As long as Komamura remains in his human form, he can’t be killed. Freaking out over this, Bambietta flies away from him as fast as she can, intending to put a fair distance between him and herself. However, Dangai Joue appears to be faster, as it appears behind her in mid-air without so much as a warning. Moving into a full-on breakdown, Bambietta starts screaming at him, asking why he threw away his life, and yelling that there’s no point in winning if you aren’t alive. No matter how much she attacks Dangai Joue, it doesn’t work, and it continues to chase her across the sky. Komamura says that he didn’t throw away his life; he just put it at stake. Saying that Yamamoto put his life at stake in the battle, he asks why he shouldn’t do the same, and he says that he already left his life behind as Dangai Joue catches up with Bambietta and slashes at her. "Well, that's my dinner sorted." I’m having a small bit of difficulty trying to figure out just what type of immortality Komamura has now. Is he fully immortal (in that he can’t die, ever)? Or can he die and then come back to life (either through a form of reanimation or regeneration)? Or is it that his ‘soul’ is bound to his heart, and that he can’t be killed whilst his heart is in one piece (like a Horcrux)? Given how it’s shown that his heart is safe in the cave with his great-grandfather, Komamura’s type of immortality is most likely the latter, but even then it isn’t made clear what other limitations there are. Will his injuries heal themselves immediately, or at a normal rate? And if Bambietta were to completely destroy his body, or cut off his head, what effect would that have? I may be reading into this too much, but it would be quite interesting to know the limits and boundaries of Komamura’s newly-gained powers. Because people die when they are killed. I’m undecided on how much I enjoyed this chapter, as whilst it did progress the fight with Bambietta (and seeing her get incredibly flustered and descend into a breakdown was quite satisfying), there was an awful lot of exposition, and it detracted from the action. On the other hand, Komamura has got a cool new powerup, although it does raise the question of why he didn’t go and ask his great-grandfather for the technique when Aizen defected. 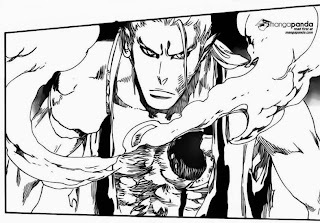 An immortal Captain with an indestructible Bankai would have been a great help in the fight against Aizen. Something that I found out last week after I put up the review was that Bleach has made another reference to Buddhism. I spoke about this in last week’s comments section, but I figured I should probably go into a bit more detail here, partly to address some confusion about the Animal Realm, and partly because it’s quite interesting. Yeah, he put his life at stake, and look what happened to him. Essentially, Buddhism states that beings go through a continuous cycle of birth to death, and each time this occurs the being is reincarnated into a different body. Each rebirth can take place in one of five (or six, depending on which school of Buddhism you speak to) realms, and each realm contains different beings. Firstly, there’s the Human Realm (represented in Bleach by the World of the Living). There’s also the Preta Realm, which is sometimes said to overlap with the Human Realm. Given that the inhabitants of the Preta Realm are invisible to most people, it’s fairly obvious that this Realm is the inspiration for the Soul Society and its inhabitants. However, given that the denizens of the Preta Realm have been said to be bad people in life, and the fact that they’re driven by an intense ‘hunger’, this Realm could also be the inspiration for Hueco Mundo and Hollows in general. There’s the Naraka Realm, which is essentially Hell (both in real life and in Bleach), and the Asura Realm, which is said to be the domain of Demigods. The inhabitants of the Asura Realm are a mixture of beings with good intentions, and outright malevolent beings, and one of the main reasons they are sent there is because of actions based on combat, so it’s possible that this Realm and the Preta Realm both inspired the creation of the Soul Society. The Deva Realm is said to contain incredibly powerful spirits, angels and deities, so this Realm could be the inspiration behind Reiōkyū, the home of Squad Zero. Finally, there’s the (fairly self-explanatory) Animal Realm. As such, it’s fairly probable that Komamura’s clan were reincarnated into the Animal Realm (which helps to explain his appearance), and from there managed to migrate to the Soul Society. Good Things: The fight with Bambietta is nearing the end. Komamura is now immortal (apparently). Bad Things: Lots of exposition. Where did Momo and Shinji go? P.S. For those of you wondering where this week's Top 10 list was, I've simply not had time to write my entries for it. Rest assured that it will be posted next week at the usual time, and I apologise for the delay. ClayDragon is currently studying Physics at university, and is constantly bewildered by it. The main method of contacting him is his Gmail account at kyleroulston1993@gmail.com. The alternative is his Skype account at kyleroulston1993. When not playing games or reading, he can be found with his head in his hands whilst trying in vain to understand quantum physics. He is never prepared. I don't think you missed me, but I'm back. Okay. I did like your TFS reference. 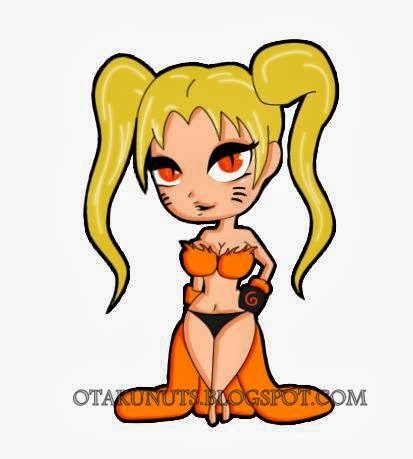 It's a rarity in Bleach, but I could actually associate with Bambietta. The explanation of "I lose organs to gain immortality" was confusing. Probably Manga-Panda's terrible translation at work. "Explosions are okay if no people are in it. I mean, sure, houses, properties and possessions would be ruined, but have you actually seen people living in Seireitei during the SS arc? Nope." 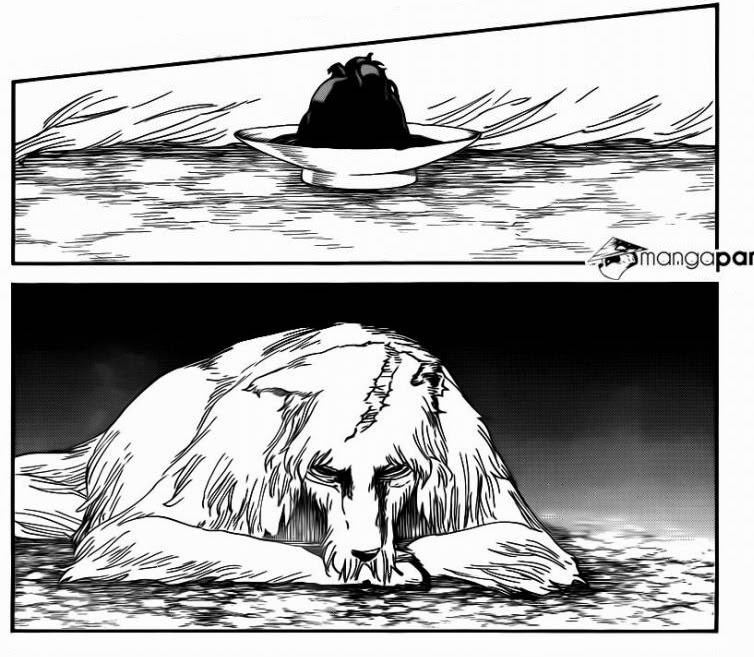 I don't think Kubo will explain too much about "the heart", unless there is 1 whole chapter devoted to it. Well, I liked the whole thing with Komamura risking his life, because the Captain-Commander also did so. But then I thought about the life risking thing more. Fox-Man isn't really risking his life if his heart is tucked away in a plate somewhere. You'd think Visored Shinji would be great against a non Hollow antibody Quincy. Or maybe some talk between them, like, off the top of my head... "I'm okay with my looks, if I can endure Hiyori, I can endure anybody." 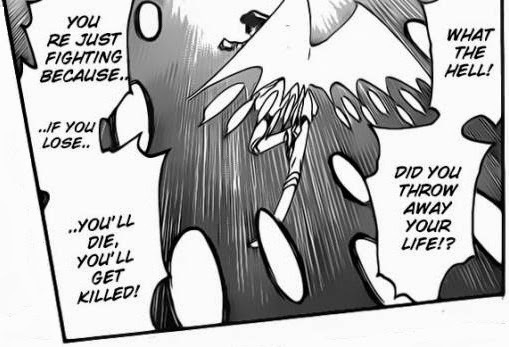 But I liked how Bambietta's selfish personality was actually shown. You've pointed out everything else. Well, I'm pretty sure Buddhists don't believe in a 99% Japanese afterlife. The Preta Realm doesn't fit perfectly into the Bleach "world", so it was probably thought up at a later time. It's a fight chapter, so not too much at the moment. Are you the same guy who's been commenting since chapter 554, and compares Bleach to DBZ? It's kinda hard for me to keep track, since 95% of comments on my reviews come from anonymous readers. Either the translation explaining Komamura's powers was done wrong, or it's not quite been fully explained yet. And given that it looks like the fight between him and Bambietta is over now, it might not get explained properly at all. To be honest, the layout of the Soul Society kind of confuses me. It's never really made clear if people live in the Seireitei, or if it's like a giant area for training, businesses and the like. If it is like that, then I guess the loss of life would be kept to a minimum. I think Komamura's technique must come with a huge downside somehow, hence him talking about throwing his life away. There's no risk at all if he can't die. Shinji would be good fighting Bambietta, which is why I was surprised at how quickly he got taken out. If she's still alive, then hopefully Shinji will join in the fight at some point. The Preta Realm sort of fits, but whether or not it was thought up later isn't something I know. Hopefully next week will have more things happening. I like fights, but I prefer it when chapters advance the story. Yes, yes I am. If you must know, I am also the same guy who recommended Hunter X Hunter and talked about Seireitei. Bleach is like DBZ. To me, Bleach(especially the entire Arrancar arc), is like what if the Majin Buu arc took itself seriously. Maybe the fight will go on. Maybe Kubo will be an idiot and drag on the fight. But maybe the editors are trying to get him to have something happen. I think Seireitei is for Shinigami only, not much business you can do with anybody else. There is a gate that falls whenever someone unauthorised tries to enter. I've actually recently read Chapter 70-ish of Bleach. It feels so different. There's comic relief abound, panels are smaller, Kubo's art is rougher, and it changes to cartoony-mode a lot. Also, Ichigo is serious, but can still get his chin pinched by Ganju. Like you said, Komamura may have this condition where if his heart is damaged, he dies. But I can't imagine Quincies going all the way there to destroy it. I'm re-reading the Soul Society Arc, the pacing was a lot worse than I remembered.